According to Futura, China met its 2020 solar energy installation target three years in advance and that its capacity will grown tenfold by 2040 – growing from 77 GW of installed rated capacity to 738 GW. This all means that China ultimately will pile up to 20 million tonnes of waste by 2050, which will be more than the United States, Japan and Germany combined. Futura quotes Tian Min, a director of a Chinese company which collects used panels. While Europe has already regulations in place for handling solar panels at the end of their lifetimes, China so far has no plan whatsoever in place to handle scrap panel problem, Futura reports. That’s the how Europe sees it. But for China, such annoyances such as toxic materials simply get ignored and are merely discarded into the landscape or oceans. And because China’s gigantic solar installations are often located in very poor and remote areas, such as the Tengger Desert, Tibet or Inner Mongolia, it’s unlikely they will be transported to the few recycling plants in the industrial provinces of the Pacific coast. It’s imply not economical. Futura reports that once panels near the end of their lifetime, one idea is to send the old Chinese panels to Middle East regions, where ultimately they will be simply discarded and end up littering and poisoning the entire landscape. Why is China installing so much solar power? Is it because they are concerned about Climate Change and meeting virtue-signalling targets, or is it for geopolitical strategy reasons, preparing for oil/gas embargoes and sudden price rises? Greenies either believe or pretend to believe the former, but said greenies, being of a “soft” public sector mindset, tend to take oil and gas for granted and are not grown-up enough to understand geopolitics. I strongly believe the latter, and dismiss the former as greenwash and wishful thinking. Yet another reason, along with intellectual property theft that allows China to undercut Western industry. 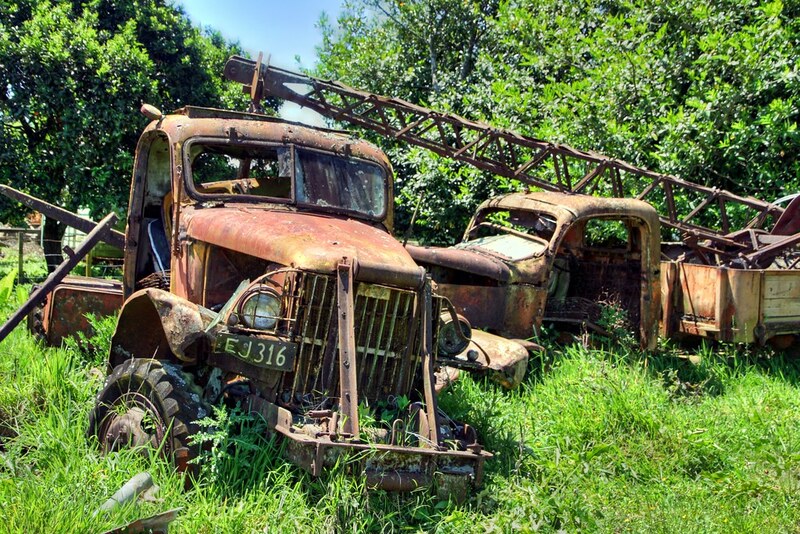 The USA has many autos, trucks, planes, and trains stockpiled at various strategic places, and many more in intimate locations, as in a backyard or farm lot. These are very diffused over a massive landscape. They were made many years ago in a manner that makes the material difficult and expensive to recycle. Thus, no demand and no plan. I used to live among the Cedars of Lebanon, but they’ve been on the ropes for centuries, can’t live there anymore. Not in my backyard. I’m moving to Lake Baikal, the fishing is going to be good. In a few years maybe, two hundred maybe, ten thousand probably, the solar panel refuse will be buried and long forgotten. The Loch Ness monster was first spotted in 595 CE and is still alive. Amazing. Why? Because the Loch Ness monster has the cleanest water on the planet providing long life survivability. Loch Ness Monster Preservation at work. Stop polluting the unpolluted regions of the world. It must stop. I’m tired of moving hither and yon to escape human encroachment. China will cut solar production 50% this year and next.